Back to school and a new record! 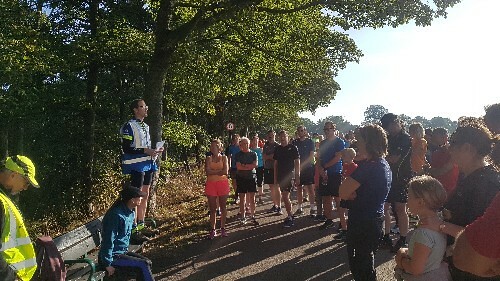 A total of 234 runners and walkers came together to listen to Roger's briefing on this sunny September day. 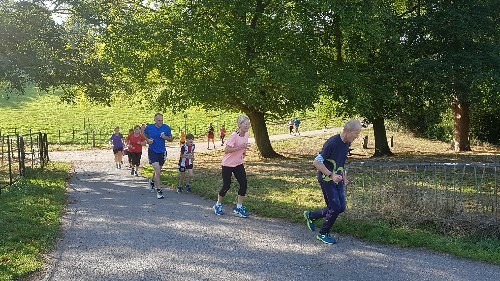 Yesterday may have been the end of meteorological summer but the sun continued to shine strongly on everyone at Graves this morning and the slightly cooler start to the day meant conditions were a little bit more comfortable than at some runs over the last month or two. 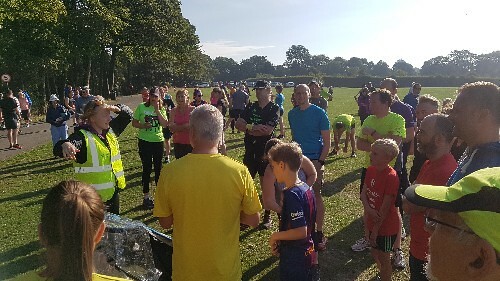 Schools will be going back this week and children may be regretting the end of the holidays so it is nice that we've got parkrun to look forward to throughout the autumn. As always folks of all ages took part, and one participant, Kara Cooper (aged 4) completed her 8th parkrun today! She was spotted by marshals still going strong even towards the end of the course and trotting along happily with her family. What an impressive performance from Kara. The dry conditions underfoot together with the cool sunshine (and perhaps a long summer of good running?) led to a new COURSE RECORD! Congratulations to Joseph for the great time of 16:19, and on his 50th parkrun too! Autumn still seems a world away but we'll look forward to seeing how the park changes over the coming weeks. 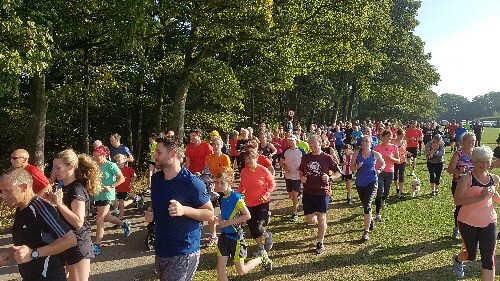 Junior parkrun at Graves takes place on Sundays.